Pioneers Memorial Hospital is a highly recognized 107-bed acute care facility accredited by DNV*, committed to providing state-of-the-art healthcare, and complemented by the highest quality of community education. DNV, which stands for Det Norske Veritas – the Nordic Truth, is a hospital accreditation organization approved by the U. S. Center for Medicare and Medicaid (CMS) and has some of the most strenuous standards in healthcare. In the 1940s, leaders with a vision realized the need for expanded health service for the northern part of Imperial County. Through their foresight and devotion to this worthy cause, the district was created. 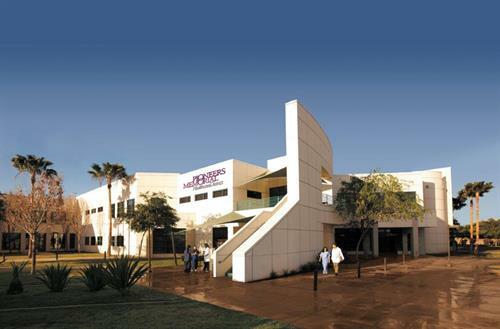 Pioneers Memorial Healthcare District is a public entity formed under California law, specifically a local health care district formed under California Health & Safety Code §§32000 et seq.